Caterpillars Have Leaves for Umbrellas! It has been raining for 4 days. It stopped today for 10 seconds. OK. That is an exaggeration. It actually stopped for 1 minute and 15 seconds. In that brief amount of time, Michael and I took the opportunity to photograph a family of caterpillars that have taken up residency on our milkweed plant. The plant was an incredibly thoughtful gift from Gaga. In case you don't already know this, the milkweed plant is the host for Monarch butterflies. The Monarch lives its entire life cycle on the plant. Hence, the reason that there are 7 caterpillars eating their way into butterfly-dom right outside on our deck!! This is a very important thing when you are 7 years old. Gotta go get my paddle! This is my baby girl, Martha. She is the third baby. At age two, her nose is always runny but she lets me take her picture whenever I want to. 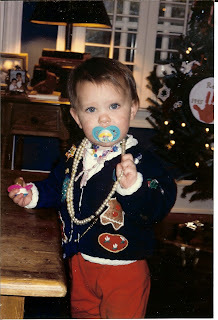 She almost always has on layers and layers of jewelry and many times she is clutching a naked and sadly disheveled Barbie....and there are ever present pacifiers....at least two, but usually more. Today, she is 15-1/2 years old and recently passed her drivers test. It is unlikely you will see a "face shot" of Martha on my blog, because she refuses to have her photo made. I sneak a few in. She likes to have her back scratched and her hair brushed and she loves cheerios and purses. Not necessarily in that order. She is a great student and recently discovered that she loves gymnastics and competition cheer leading. She gets very nervous and full of anxiety before any type of performance and I think this is all related to not allowing people to take her picture....I will figure it out. Last night, she made a 3-D model of an animal cell that was really a cake with lots of candy parts on it. I helped. I iced the cake and then proceeded to eat all the candy I possibly could to insure I would have a tremendous stomach ache when I went to bed. Mission accomplished. My stomach is hurting again just thinking about those twizzlers I ate.... and the oreos, moon pies, gummy worms and razzlers. But, my baby girl made the most amazingly delicious animal cell ever. It is definitely going to be an A+! See, she just couldn't smile in a normal way as if to suggest she was actually ALLOWING a photograph to be taken of her. ....and hope for a genuine photo of my beautiful baby girl at a later date?